BLUE ZOO are best known for their No13 UK hit with ‘Cry Boy Cry’ in Autumn 1982. 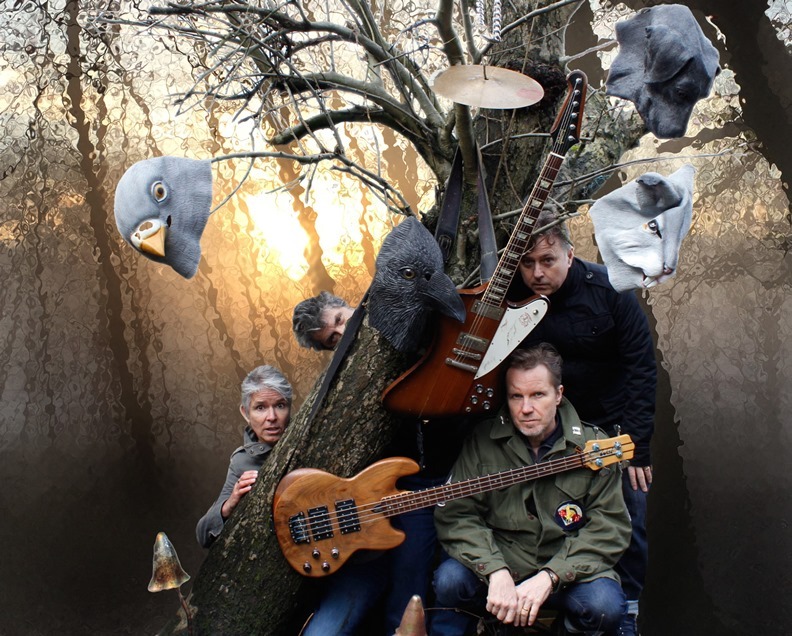 Beginning as MODERN JAZZ, Andy Overall (vocals), Tim Parry (guitar), Mike Ansell (bass) and Micky Sparrow (drums) morphed into BLUE ZOO with a new wave sound sprinkled with the new pop of acts like ABC and ASSOCIATES plus a dash of Romo fairy dust. What was the impetus to return as BLUE ZOO? We all met up including Tim Parry at The Ship in Wardour Street, we hadn’t seen each other for goodness knows how long! We felt like the moment was right, although Tim didn’t want to join because he’s not at all interested anymore in playing music. I asked him if he would be involved musically and he replied “WHAT? You’re joking?”, this is because he’s involved in management, he joined Big Life with Jazz Summers who managed BLUE ZOO. They’d been involved in some huge acts over the years like LISA STANSFIELD, THE VERVE, SNOW PATROL and LA ROUX! 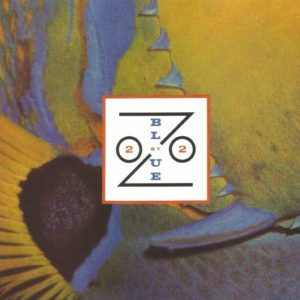 To be perfectly honest with you I never thought BLUE ZOO would be back in a million years, but stranger things have happened. We never fell out, we had disagreements and stuff but I have to say that I felt at times we were coming from different places. I was coming from a more punky / new wave / Bowie kind of direction while Tim Parry was at the more poppy end. 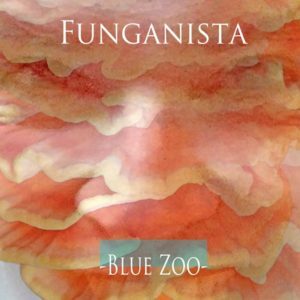 You have ‘Funganista’, your first new single since 1984. Was recording new material an important requisite to reform the band? No it wasn’t actually! There was this album that we completed toward the end of MODERN JAZZ and the beginning of BLUE ZOO that was shelved by Magnet Records. It was full of songs that we all loved but the label told us it wasn’t commercial enough; it included songs like the original ‘Love Moves In Strange Ways’ produced by Lawrence Diana and the seeds of ‘Cry Boy Cry’, then called ‘Turn & Face The Wall’. So when we got back together, I really wanted to play out that album. And when we did, it felt really good, a catharsis. So ‘Funganista’, what’s it all about? The Funganista represents the hunter/gatherer which resides in all of us, he/she is that primal spirit of the hunter/gatherer, this is the reason for the white painted face in the video and when the song is performed live, portraying the spirit. The Funganista, which has risen to the surface and shown its face in recent years via the recent wild food foraging phenomena, is currently enduring much castigation from various opposed bodies. This song conveys the broad themes of that story. At the time of the reformation, your debut long player ‘2 by 2’ had not yet been reissued. How do you look back on the original vinyl album? I talked to Mike, the bass player about this the other day… I never really felt we did a ‘proper’ album because that ‘first’ album never came out, which was for me a crucial piece of the BLUE ZOO story, missing. We took a few of those songs, wrote some others and came up with ‘2 By 2’. The album is ok in bits and there’s some nice songs like ‘Something Familiar’ but as an album, I didn’t find it cohesive. 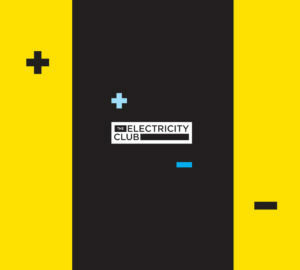 But that unreleased first album was cohesive, it had a sound and flavour of what we were at the time… and we missed that. ‘2 By 2’ was missing that crucial part. When ‘2 By 2’ did get a re-release on Cherry Red, it came with a significantly altered track listing. That was my fault! Cherry Red wanted all these B-sides on there and I chose what I thought were the best ones. ‘Love Moves In Strange Ways’ was the biggest kick back as I always felt that the original single was better than the album version. So were you trying to put something right? Not really, but ‘Love Moves In Strange Ways’ was a bit of a statement I wanted the original to be on there, although loads of people love the album version… so there was a bit of a hoo-hah about it! The original version of ‘Love Moves In Strange Ways’ is rightly hailed as a lost classic, but the re-recorded album version was produced by Tim Friese-Greene and featured Danny Thompson on double bass. It was almost as a precursor to TALK TALK’s eventual sound… any thoughts? Yes! I loved TALK TALK and I think they liked what Tim was doing with us and that was where they (TALK TALK) entered the frey with Tim. I’d have loved to have taken that direction with Tim, that would have been fantastic. I listened to TALK TALK just the other day in the car and I sent him a message spontaneously about when we did the album at CBS. He used to drive me home after recording. 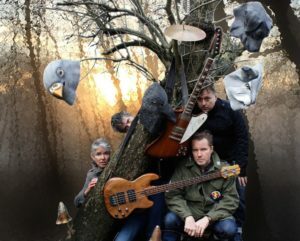 Could BLUE ZOO have developed into a band like TALK TALK? I don’t think so, TALK TALK were a different sort of band, making a different sound, I remember them in their early days with the single ‘Talk Talk’ I could hear something a little special back then. There was opportunity like you said in your live review for BLUE ZOO to have been much bigger. 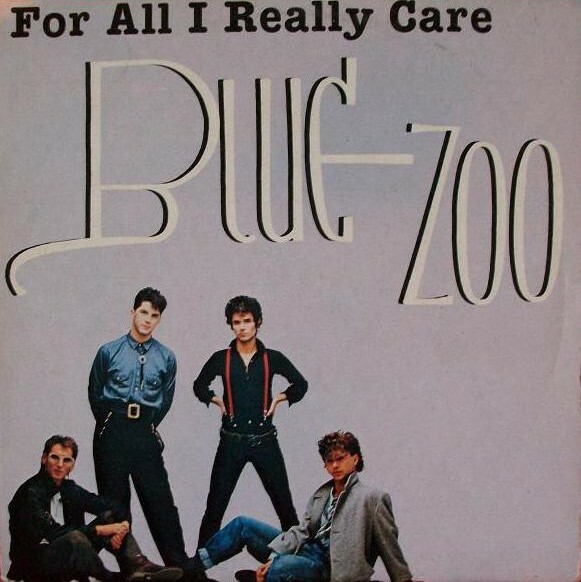 I remember the singer from THE HUMAN LEAGUE, Phil Oakey saying that he thought BLUE ZOO were going to be massive, it was all kind of in place to be so, wasn’t it? 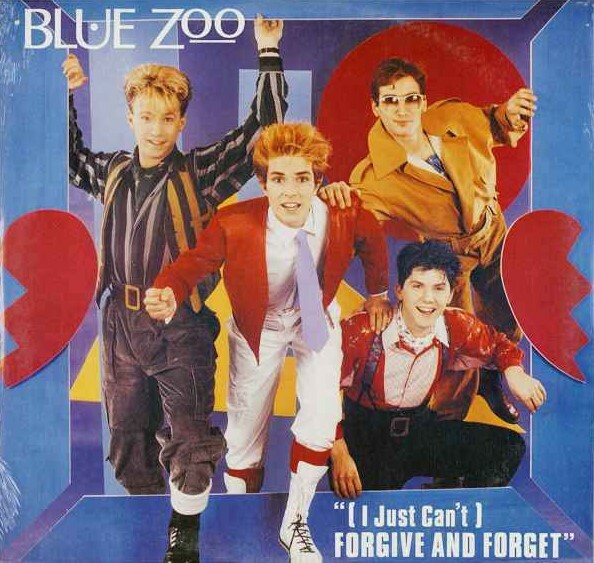 But when people ask me why BLUE ZOO ended, I always say it was because of songs like ‘Forgive & Forget’, I always felt it was going in the wrong direction. It’s interesting that a track such as ‘Forgive & Forget’ has now become a bonus track rather than a feature within the main album. Do you feel more detached from that song today? I never liked it, I don’t like the words and the whole idea of the song… those words make me crawl! 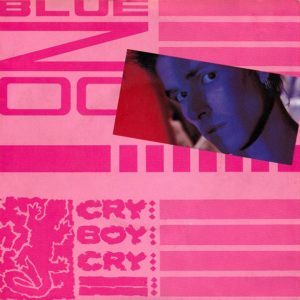 Did ‘Cry Boy Cry’ end up being a bit of a millstone around BLUE ZOO’s neck? Not at all, I’m proud of the song and it was produced really well. I love the backing vocals by Stevie Lange, I don’t know how many harmonies she did, Tim Friese-Greene layered up her voice to get the effect that he got on the “CRY”. I still love singing it and I think we’ve brought a whole new life to it live, it sounds rockier now with our new guitarist Tom. You shared the same management as JAPAN and WHAM! What was BLUE ZOO’s relationship with Simon Napier-Bell like? One time, I recall doing a gig without his go-ahead. I set up a gig at The Moonlight Club in West Hampstead, it was an important live venue at that time and everyone was playing there from U2 to DEPECHE MODE. ‘Love Moves In Strange Ways’ was out and because I lived just round the corner and I knew the guys who ran it, I said we’d love to do a show and they said yes. It sold out, there were 400 people there but Jazz went bananas! He didn’t like that! In hindsight I think well, he was my manager but I just gave him something a little extra to manage…. 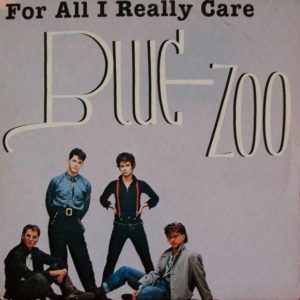 How come BLUE ZOO’s second album ‘For All I Really Care’ only got released in Yugoslavia? Well, the Yugoslavs took it upon themselves to do so! I don’t even know if it was official, I don’t think it is to be honest! I’ve been in contact with people who’ve talked about this album and it’s a weird mystical thing, it’s odd! 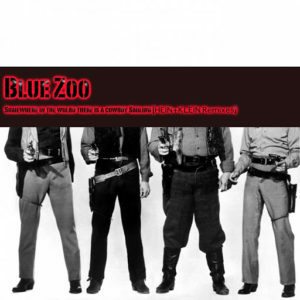 Which BLUE ZOO or MODERN JAZZ songs hold the most affection for you? Good question… I love ‘John’s Lost’ which is a Mickey Sparrow song and ‘Could It Ever Happen’, which we still play now. ‘Love Moves In Strange Ways’ is another great song and the good thing for us is we can pull things in and out of the live set, because there’s a whole load of songs that we’d written. From ‘2 By 2’, ‘Something Familiar’ has got something about it when we play it live, I really like that. But the other tracks like ‘Can’t Hold Me Down’ and ‘(You Can) Count On Me’, I’m not a big fan of them. There’s also these German guys HEIN+KLEIN who did four separate remixes of ‘Somewhere In The World There Is A Cowboy Smiling’ and that was pretty cool. They had this club called ‘The Sunrise’ and they had these ‘Somewhere In The World There’s A Cowboy Smiling’ nights, we went to one after a German show we did! They said they loved the 12 inch versions of the songs we did! We need to do a 12 version of ‘Funganista’, I think that would make a very good dance track. 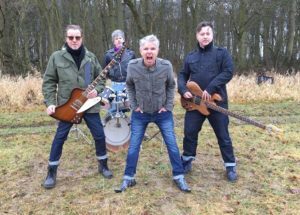 I did speak to Cherry Red recently about maybe doing a CD of just the 12 inchers or boosted with the BBC radio sessions, but I’m not sure they’re so keen. People won’t be surprised that you performed a cover of ‘All The Young Dudes’ live recently. How big an influence was DAVID BOWIE on you? He was the beginning… for me it was the early Ziggy period, it was just enthralling. The whole essence was instilled inside me and I just basically took it into new wave and punk. When I was in my first band THE RAVE, we used to play ‘Hang On To Yourself’, but also songs by THE JAM like ‘Down In The Tube Station At Midnight’. Where artistically do you want to take BLUE ZOO today, does the lucrative nostalgia circuit interest you? Not really, we’re more interested in rebirthing BLUE ZOO. We’ve got to the point where we’ve played out those songs we wanted to get out of our system… that said, I’d love to get them released if any of the masters still exist and are out there. It was a natural occurrence that we would start writing new songs. What’s next for BLUE ZOO? I want to build towards an album and BLUE ZOO to produce a complete work that is in the flow and rounded, of the essence rather than a pick ‘n’ mix. There’s lot of ideas ready to pull into shape.